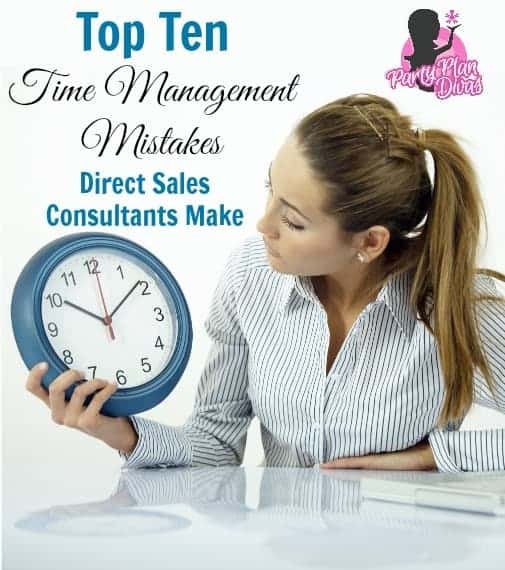 In order to be highly successful in your Direct Sales Business, you must manage your time and activities effectively. But how? We have all felt the stress and overwhelm of being pressed for time, not being or feeling prepared, working a 12 hour day and not profiting a dime, being pulled in twenty different directions, working until the wee hours of the morning – only to get up the next day and do it all over again…. we’ve all been there. Time Management is a learned skill and one that can literally impact every single part of your life – not just your direct sales business. The habits that you have created – procrastination, running late, missing your goals, etc – can literally set you up for failure with your business, your finances, and your relationships. Here are the Top Ten Time Management Mistakes and strategies to overcome each one of them. Mistake #1. Not setting goals. For some, setting goals is about as pleasant as a trip to the dentist. After all, most people have spent years setting goals, only to fail at them a few short months later. This is why I suggest setting BOLD Goals, instead of those old, worn out “SMART” Goals. The beauty of setting goals when it comes to time management is that your goals automatically create a map and a timeline so that you know exactly what needs to be done by when. Without a goal, you are running your business wandering aimlessly in any direction.You must know where you want to go, in order to know the path to get there. Mistake #2. Not keeping an ACTIVE To Do list. What do I mean by active? I mean one you keep by your side all day long – keeping you accountable but also so you can celebrate little victories as you mark off the tasks you have completed. Every day you should do a “brain dump” of everything that you need “to do.” If you are a morning person – make your list first thing in the morning. Just having an Active To-Do List isn’t enough – you must also make sure you are prioritizing the right tasks. 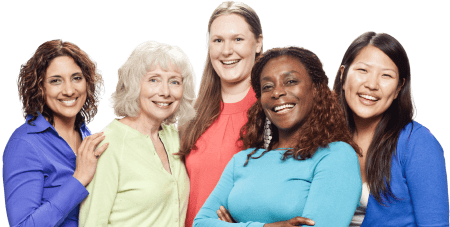 In direct sales there are two types of activities – ones that are time-consuming (making hostess packets, party giveaways, etc) and ones that are profit producing (making follow up calls, gardening, etc). You must make sure that you are not mistaking activity with productivity. After all, running in place is technically “activity” – but you are not getting anywhere. See my point? You must prioritize your activities and make sure you are doing the profit producing activities in order to see an income from your direct sales business. Mistake #4. Not managing distractions. Have you ever noticed how many people claim to have or joke about having ADD? To those who truly have it, this is no laughing matter. To those who do not – they are mistaking ADD for their inability to manage distractions. There is a difference. Every day we are met with emails, IMs, phone calls, text messages, Facebook notifications – you name it – we have a million things flying at us at all times. If you act on every one of these distractions, you will never actually complete anything. You must learn to manage distractions to give yourself ample time to focus and complete tasks. For instance – it is perfectly ok for people to leave a message on your voicemail – you do not have to answer every call. I remember when I put “multitasking” on my resume as a strength… what a huge misconception THAT was. Being able to handle many tasks and “multitasking” are actually two different things. It is important to be able to handle many tasks, after all, you have a lot of things to manage in direct sales – from organizing orders to hostess coaching to team building – however none of these things need to be done at the same time! You must give each very important task its own time and focus until completion to make sure they are done accurately. “Multitasking” loosely translates into “nothing gets done 100%” which is NOT a positive thing. Mistake #6. Not taking breaks. In Corporate America, there are mandated break times – from a 15-minute break to the lunch break which varies depending on how long the shift is. These are mandatory for any shift work. When you work for yourself, it is often that we forget to stop and take breaks – literally wearing ourselves out day after day after day. Studies have shown that without breaks, your productivity and effectiveness slowly decline as you work. Set timers or schedule breaks in your day just as if you were in Corporate America. You will come back from each break more refresh and more efficient. Mistake #7. Taking on too much. Learning to say “no” is very hard for some people – especially when you work from home. You get asked to do things that a person at a “normal” job would not be asked to do – like going to lunch on a whim or picking up children or running someone to the doctor. Granted, the flexibility that our business allows is to be able to handle some of these situations – but they can certainly get out of hand. You must make sure that you are completing those prioritized tasks, focusing on the profit producing activities, and not getting caught up in other things that do not serve your ultimate goal. Have you ever had something take way longer than you expected it to – so it threw off the whole rest of your day? Or have you ever scheduled something – but not written it down – so you missed it? How about have you ever planned for a late meeting – when you know you are a morning person that starts thinking about sleep at sunset? Ineffective scheduling can make you appear to have it all together on paper – but the first misstep and you are totally thrown off. Take the time to properly schedule – giving yourself ample time for each task. For instance – when doing coaching calls, schedule a 30-minute break between them – so that if they go long or if you want a drink in between, you have that cushion. If you know you are a morning person, schedule your most important tasks for in the morning when you are at your peak. Most people I meet say that “procrastination” is their “middle name.” Here is the thing about procrastination – it is a learned habit. Putting things off until the last minute does not mean you are a terrible person or a terrible business owner – it simply means you have a terrible habit. The good news about habits is that they can be broken – by replacing them with good habits. Every day choose one thing from your Active Prioritized To Do List that you COMPLETE – and then celebrate out loud that you completed it. As silly as that may sound, you must acknowledge that you are completing tasks instead of putting them off – in order to replace that habit. Before you know it, your new habit will be completing every task on time – if not ahead of time. Some people think they must always stay “busy” for their life/business to work. Nothing could be further from the truth. While “working well under pressure” may sound good – its an enormous cause of stress and anxiety. Not to mention, if you appear “busy” ALL.THE.TIME. – who wants to join a business like that? If you instead look calm and relaxed – like your business is running like the well-oiled machine that it should be – Recruiting other people to join your team will be a breeze. Slow down, manage your time, get things done, and your business will be a huge success. As a Direct Sales Consultant and Leader, managing your time effectively is crucial to your success and longevity. One of the most effective ways of improving your productivity is to recognize and rectify these common time management mistakes. When you are able to get control of your time – and your business – you will not only be more successful, but you will get to enjoy this industry in the way it was really designed. You can truly “be your own boss” and “make your own hours” in a way that fulfills your goals – without any stress along the way.